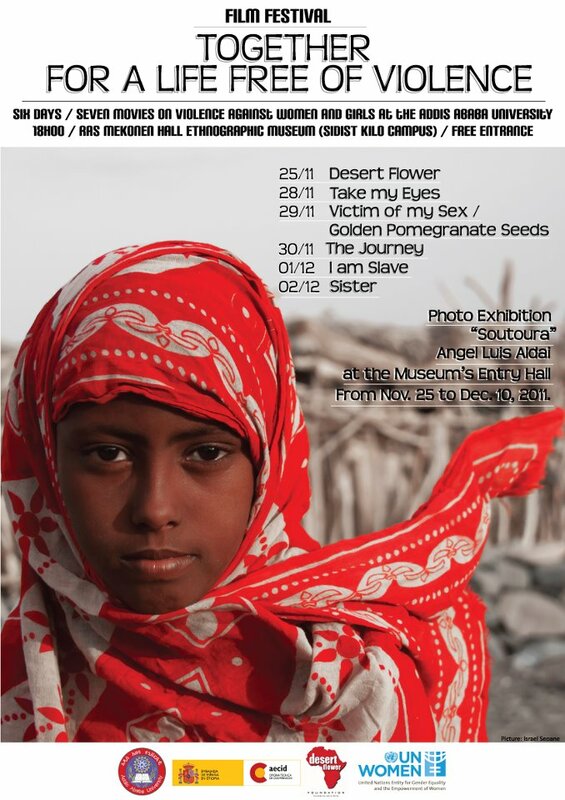 A film festival entitled “Together for a Life Free of Violence” is currently showing at the Addis Ababa University Ras Makonen Hall at the Ethnographic Museum – Sidist Kilo. Entrance is free and screening begins at 6pm for all six films. Although the opening has already passed, those interested can still catch upcoming ones as listed in the flyer below. That is the theme of a panel discussion organized by the Network of Ethiopian Women’s Associations (NEWA). The panel members will be composed of men of different backgrounds who will be discussion on what violence means, why it happens, what men feel in such circumstances and specifically what their role is in addressing these issues. The panel discussion will be held Monday, November 28 at Desalegn Hotel starting at 8:30am. Show up, learn and discuss at both events.